The CBD Product Finder has listed the top isolate-derived CBD vape juices below. These products were chosen based on quality, price and effectiveness. All of the products shown below are THC-free. 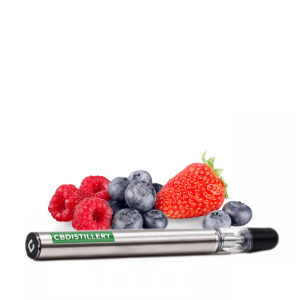 Summary: The CBDistillery offers the best THC-free disposable CBD vape pens and prefilled cartridges. We're still in the process of finding more Isolate-based CBD vapes that meet our strict criteria.